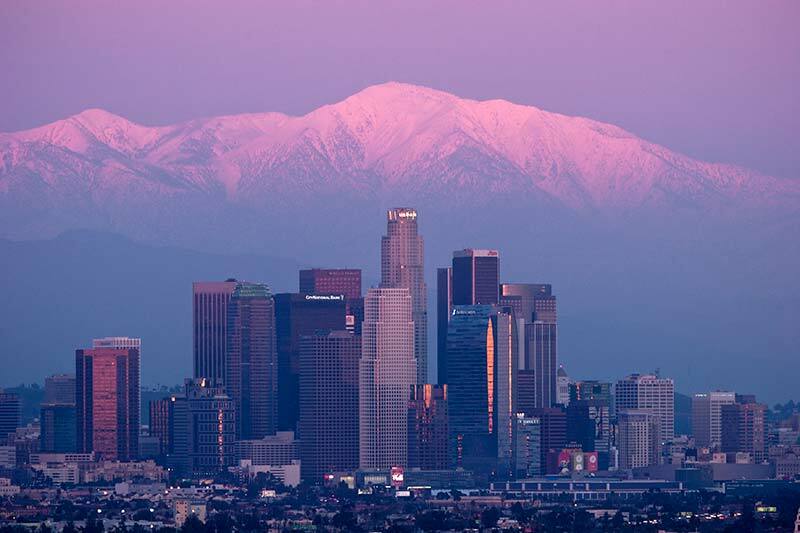 With a rare, snow-capped Mount Baldy, I utilized telephoto lenses to compress the distance between downtown Los Angeles and the iconic peak of the San Gabriel Mountains. I had been working this scene for some time but it wasn't until the fresh snow and reasonably good air quality happened that everything came together for me. This is not a perspective someone would see with their naked eyes and made possible only through a camera lens. At the time I made this photo this scene was not widely-photographed. As with all things in today's social media age, as soon as you put it out there it's going to get copied.